The Up:Strike Project aims to embody the nature of the integral movement in percussion: “up and strike.” Founded by two Hong Kong-based percussionists, Dr. Matthew Lau and Karen Yu, The Up:Strike Project is a diverse and flexible group, aiming to thread the community together by welcoming all levels of percussionists and musicians, and consistently engaging different young and emerging percussionists to work with us. 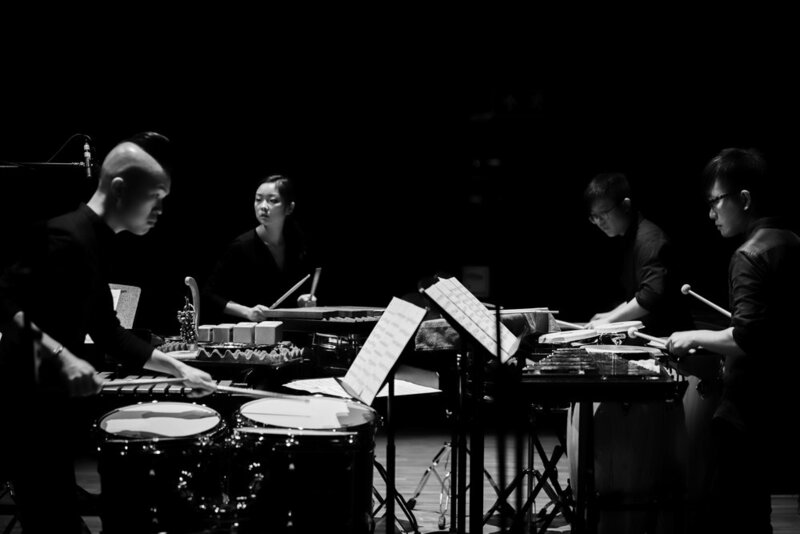 By bringing professional and emerging percussionists together, presenting and championing a diverse mix of percussion music, and supporting the future leaders of percussive arts, The Up:Strike Project endeavors to strike and stand out as the pioneer of the ever-changing art form in percussion and contemporary music. The co-founders of The Up:Strike Project are prominent percussionists who are actively involved in the percussion scene in Asia and North America, with additional appearances in Australia, Europe, and Latin America. 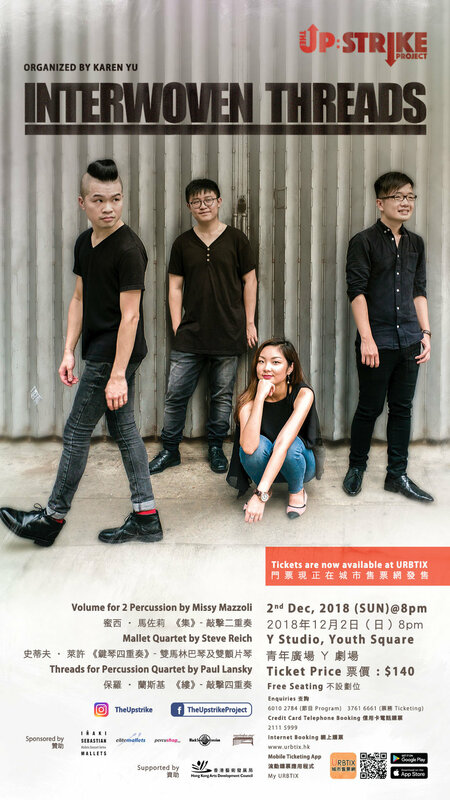 Dr. Matthew Lau is one of the most prominent percussionist in Hong Kong who performs a wide range of repertoire with absolute commitment to communicating the meaning and essence of percussion music to audiences. As a percussionist, performing artist and interdisciplinary arts researcher, co-founder Karen Yu believes that music is beyond pleasure for our ears and she is keen on exploring the possibilities of combining sonic and performing arts. The co-founders have most recently performed in the Transplanted Roots Percussion Research Symposiums, Aspen Music Festival, Banff Centre for Arts and Creativity, IRCAM Manifeste Academy and Bang On A Can Marathon Concert. Devoted to bring changes to the percussion community by elevating the artistry, The Up:Strike Project seeks to broadening the range of performed repertoire, and enlarging the audience circle through reducing the distance between the society and us.